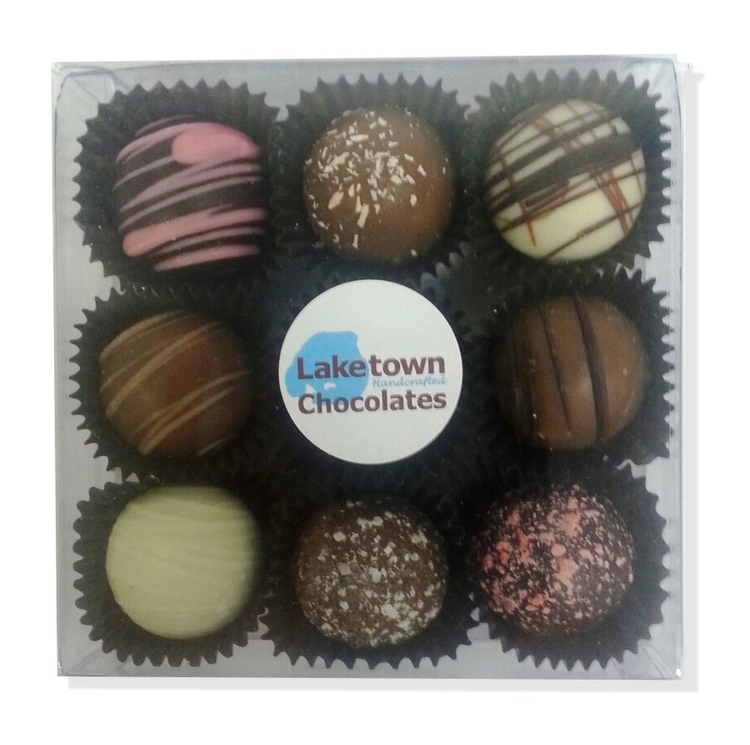 Clear 5.4oz box filled with 9 chocolate candy truffle confections. Choose your flavors and stretch ribbon color. Truffles Flavors: Milk Chocolate Shells:Milk Chocolate, Amaretto, Butter Pecan, Cappuccino, Mint, Roasted Coconut; Dark Chocolate Shells: Dark Chocolate, Raspberry, Irish Cream, Black Forest Cherry, Orange, Hazelnut, Coffee; White Chocolate Shells: Tiramisu, Caramel, Rum, Key Lime, Champagne. Includes up to 4 color process imprinted label.